Web ASP Sdn Bhd is a wholly subsidiary of MobiWeb Sdn Bhd. 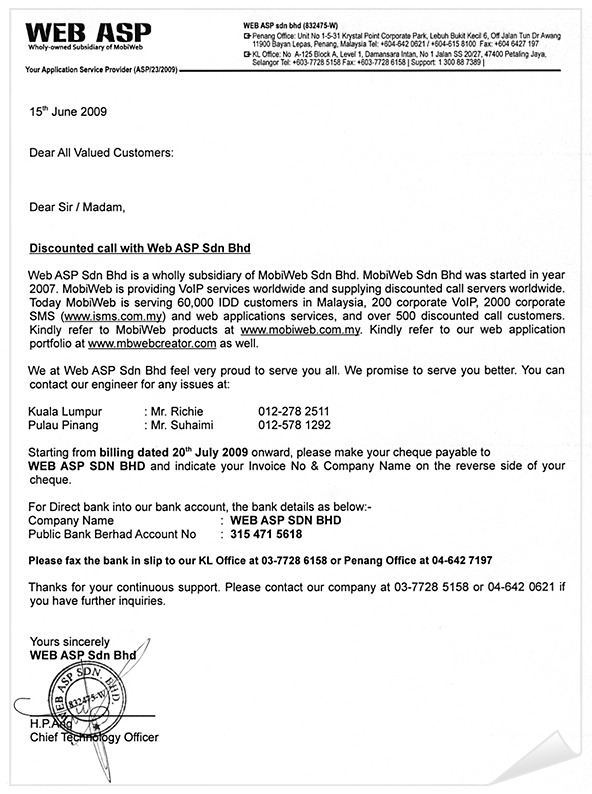 MobiWeb Sdn Bhd was started in year 2007. MobiWeb is providing VoIP services worldwide and supplying discounted call servers worldwide. Today MobiWeb is serving 60,000 IDD customers in Malaysia, 200 corporate VoIP, 2000 corporate SMS (www.isms.com.my) and web applications services, and over 500 discounted call customers. Kindly refer to MobiWeb products at www.mobiweb.com.my. Kindly refer to our web application portfolio at www.mbwebcreator.com as well.